One of the key features of the Grid Modernization project is the upgrade of all 34,000 meters around the county. These new advanced meters will allow you to access your energy usage information on a near-real-time level, and provide us with better outage notification, so that we can get you back in power more quickly. If, after reviewing this information, you would like to opt-out of having an Advanced Meter installed at your home or business, please fill out this opt-out form. Safety is our highest priority. The Advanced Meters we will install meet the American National Standards Institute (ANSI) requirements and are certified by Underwriters Laboratories (UL). Certification ensures that should the meters encounter equipment failure, such as a short circuit, they will respond in a safe manner. As part of this certification, our meters are independently tested and inspected during the manufacturing process. The meters allow us to identify problems remotely and respond quickly. The data from Advanced Metering will help us better monitor our entire electrical system during power outages. For example, the data will allow us to see when all homes are restored with power – an especially important feature during stormy weather, cold spells, and heat waves. This is what a new residential meter will look like. As you can see, it looks pretty much the same as your old meter! After extensive review and a competitive sealed bid process, PUD 3 has selected the Landis + Gyr E330 FOCUS AX family of meters for the grid modernization project. The main form factors that we will be using are listed below. The appropriate meter for each service type and application will be selected by PUD 3. Like common devices such as cell phones, baby monitors, and WiFi routers, advanced meters use low-energy radio frequency waves to communicate wirelessly with PUD 3. While this is the same basic technology, the power output of the communication radios in the meters is very low powered compared to other electronics. Meter readers no longer need to visit your home to record your energy data. Instead, your energy-use information is sent remotely through the secure wireless network for billing. After extensive research and consultation with leading experts, we are confident advanced meters are safe. The science shows that radio frequency emissions typical of many common household devices like advanced meters, do not affect health. Radio frequency emissions from advanced meters are far below the limits set by the Federal Communications Commission (FCC). 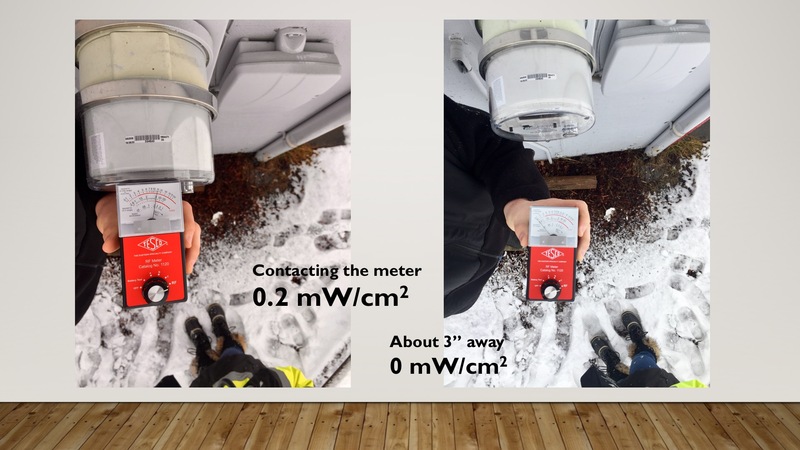 One study for the State of Vermont found that radio frequency levels at one foot from the meter are about 1,500 times below exposure limits. PUD 3 studies on advanced meters deployed in Mason County show non-discernable RF exposure just a few inches from the meter's radio. For further reading, please see the links below. The Washington Utility and Transportation Commission (UTC) has published an information sheet on Advanced Meters. While the UTC does not have jurisdiction over PUD 3, which is a locally governed utility, they are local, trustworthy, and reputable subject matter experts in the industry. California Institute of Science and Technology: "Advanced Meters and Your Health"
Electric Power Research Institute: "A Case Study of Radio-Frequency Exposure Levels"
Electric Power Research Institute's: "Characterization of Radio Emissions from Advanced Metering Infrastructure Revenue Meters"
American Cancer Society statement on "advanced meters"
Advanced metering is a safe and proven technology widely used across the United States. Although very high levels of radio frequency exposure can affect human health, it is important to understand that levels from Advanced Metering technology are extremely low and are not considered a health hazard or risk. In general, the factors that influence the degree of radio frequency exposure from any source are the frequency, duration of signals, signal strength and your distance from the source. For reasons given in the following table, advanced meters do not produce radio frequency exposures strong enough to impact your health. Radio frequency signals from advanced meters are brief and infrequent. Our meters will transmit for an average of 83 seconds per day. The average transmission lasts just 48 milliseconds. Radio frequency emissions from an advanced meter are very weak and have no known health effects. Even as close as three inches from an advanced meter, radio frequency levels are non-measurable (0.0 mW/cm2), and far below FCC exposure limits (1 mW/cm2 at the source). Research shows that radio frequency emissions decrease sharply with distance, dropping to low levels at just several inches from the meter. In fact, using a qualifying RF detector, PUD 3 staff measured just 0.2 mW/cm2 of RF irridiance when placing the detector up against an advanced meter's radio during a transmission. At just 3" from the radio, and along other areas of the meter, the reading drops to 0.0 mW/cm2. It's important to use standard units of measure when discussing advanced meter emissions. 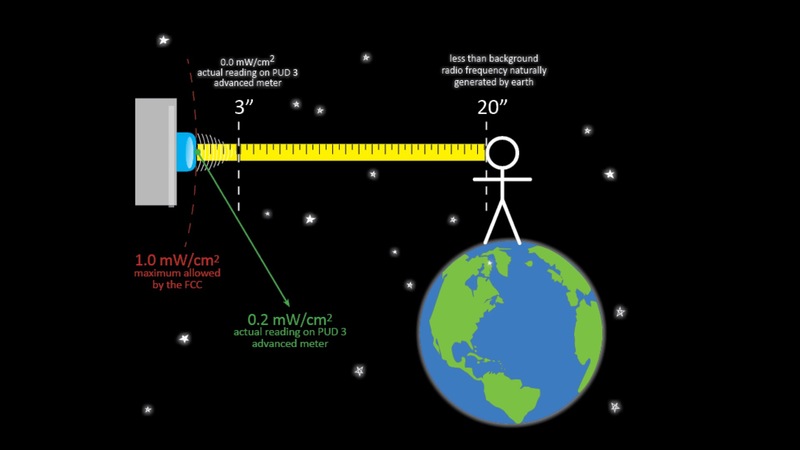 The FCC recognizes milliwatts per square centimeter (mW/cm2) as a reputable measure of irradiance (intensity) of radio energy. This is the total radiant power of (all) wavelengths passing from all incident directions onto an infinitesimally small area (square centimeters).